Servers are the bedrock of the modern appliance. With consistent, scalable and industry-leading design, Dell EMC servers can help you tackle any workload, from traditional applications to cloud and converged platforms. Build your vision, control your IT life cycle and surround your business with security. 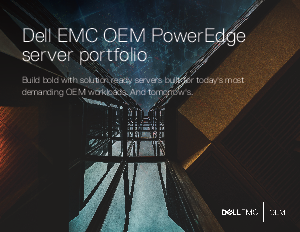 Ignite innovation in your organization with the 14th generation of Dell EMC PowerEdge – the No. 1 rack servers in the world.